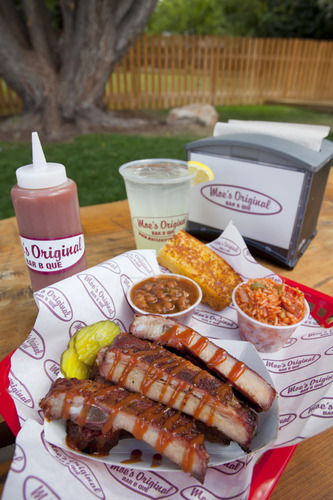 Moe's Original Bar B Que is a Southern Soul Food Revival. Our fast casual eatery and catering company offers Moe’s award-winning Bama-style BBQ offerings including Pulled Pork, Ribs, Wings, Chicken and Turkey in addition to Catfish and a Shrimp Moe-Boy sandwich, not to mention an array of Southern Sides prepared fresh daily. Large party takeout orders and full service catering with delivery are also available. Designed with a rustic feel complete with staples of the South, our down home restaurant is comfortable for families, students and professionals alike with accommodations inside as well as seating on the patio. Additionally, there is a cool nightlife scene with a full premium bar, and HDTVs.